In this week’s episode, Amy and Emily welcome back to the show Bree Warner, of TactiGal NYC. 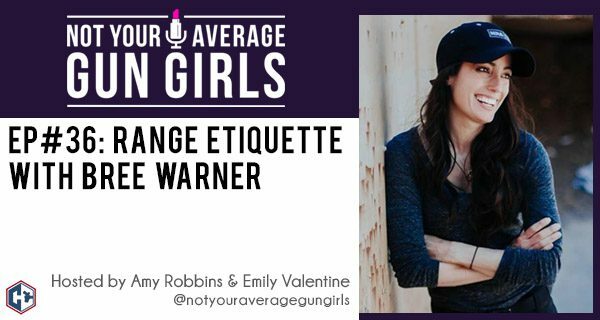 Emily shares a range experience horror story from a listener and the girls discuss the situation as well as range etiquette to follow. Bree also shares her range tips for new shooters and her go-to guns for new women shooters. 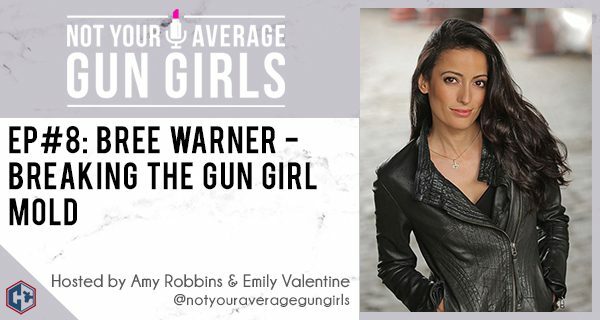 In episode 8, Amy and Emily get to know Bree Warner while at the Glock booth during SHOT Show 2018. Bree, a current law enforcement officer and firearms instructor, provides her perspective on how the industry is changing to accommodate more women shooters. Bree also discusses why she uses a Glock 19 and why she loves shooting the new Glock 19X. The girls also talk about why women need to break the mold and take responsibility for their own safety and why training is so important for preparedness even for non-lethal or support tools.